Yay or Nay? 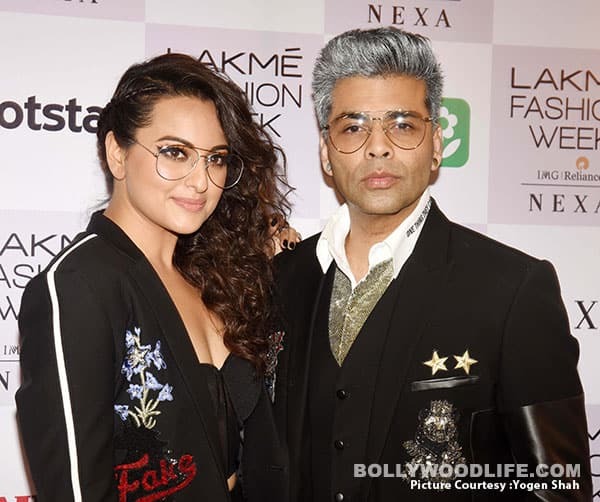 Karan Johar flaunts a funky grey hairdo at LFW 2018! Karan Johar is unabashedly flamboyant and we love him for that. The all-rounder was seen walking the runway for Falguni and Shane Peacock today at Lakme Fashion Week Summer/Resort 2018. He was looking fabulously dapper in his OOTD, no doubt about that, but what stole our attention was his funky hairdo. Not many men in Bollywood experiment with hair colour. But Karan chose the road less travelled and coloured his hair with a silvery white hue. It was not a George Clooney look that he was aiming for, we guess. Rather he reminded us more of the superhero Quicksilver/Peter Maximoff, played by Evan Peters, from the X-Men series. We are having a hard time deciding whether this funky hairdo was a hit or a miss by Karan. 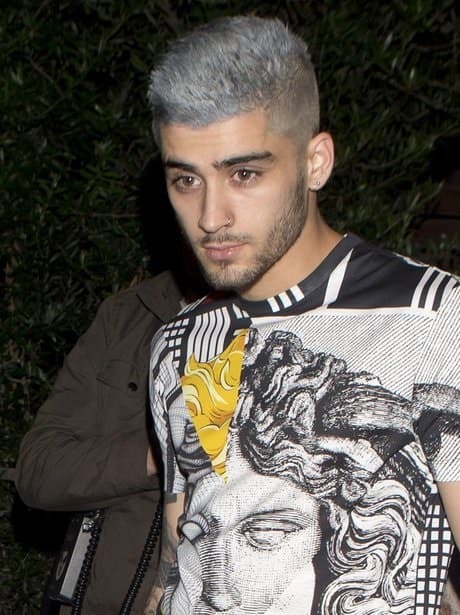 In the past, we have seen Zayn Malik opt for a hair colour similar to what Karan picked. Remember? Colouring hair grey is a legit thing, guys! Now, we don’t want to board the train to judgementalville, so we ask you guys to vote if Karan was able to pull off this extreme hairdo. On the work front, there has been no news about Karan’s next directorial venture after Ae Dil Hai Mushkil. But the head-honcho of Dharma Productions has a huge line up of films that he has put his money in – Drive Featuring Sushant Singh Rajput and Jacqueline Fernandez, Raazi featuring Alia Bhatt and Vicky Kaushal, Kesari featuring Akshay Kumar and Parineeti Chopra, Brahmastra featuring Ali and Ranbir Kapoor. He will also be seen acting in the upcoming film Welcome to New York. He sure has his plate full.